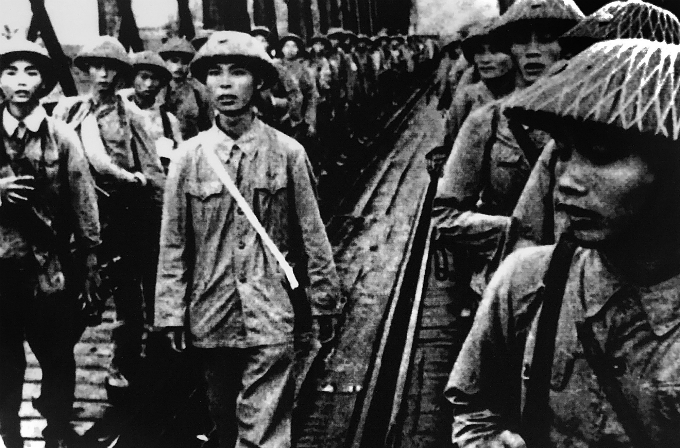 An exhibition in Hanoi goes back 64 years, when the French troops officially withdrew from Vietnam. 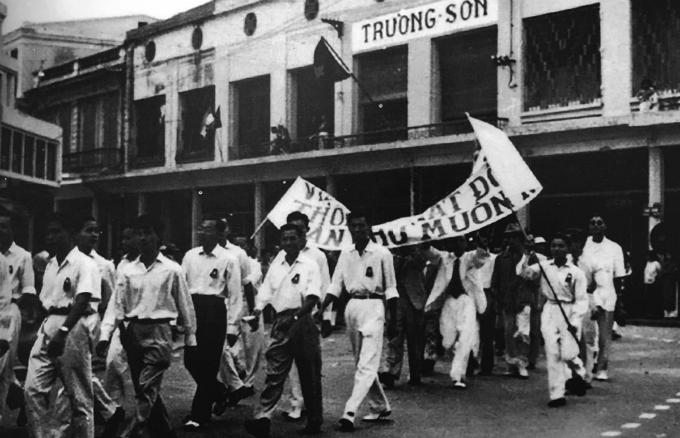 The Vietnamese People's Army enters Thanh Tri District outside Hanoi on October 6, 1954 after nine years of fighting against the French in the northern uplands. 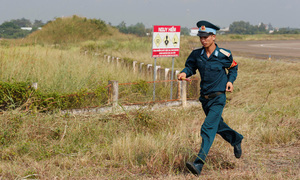 Following the Geneva Accord signed that year, the French withdrew from northern Vietnam and the First Indochina War came to an end. 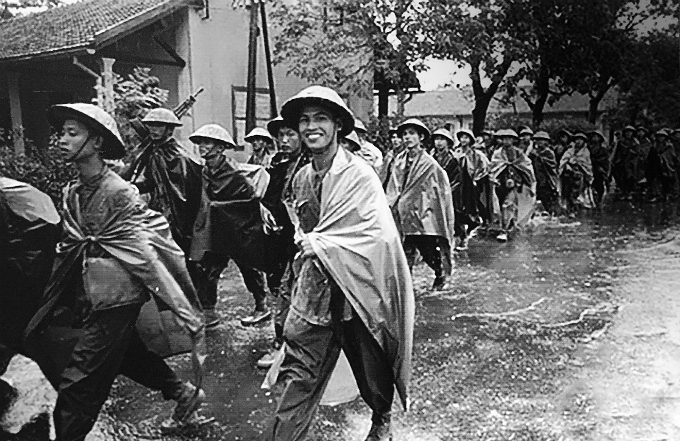 It was raining as the Vietnamese forces marched into Hanoi on October 8, 1954. 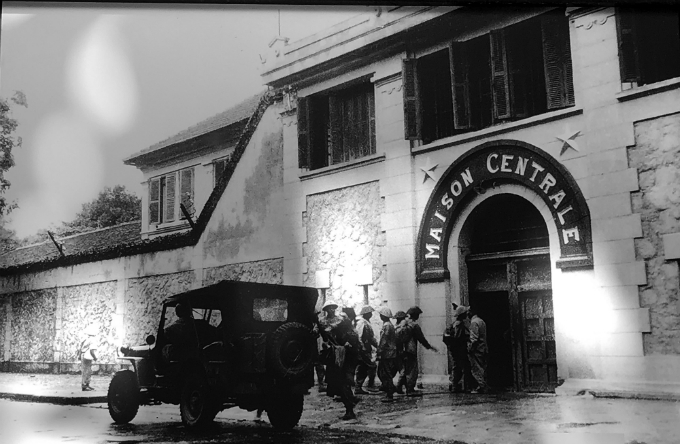 Named “Hanoi: Moments of October 1954,” the exhibition, organized by the city’s culture department, will remain open until January 30, 2019 at the Hoa Lo Prison Museum in downtown Hanoi. 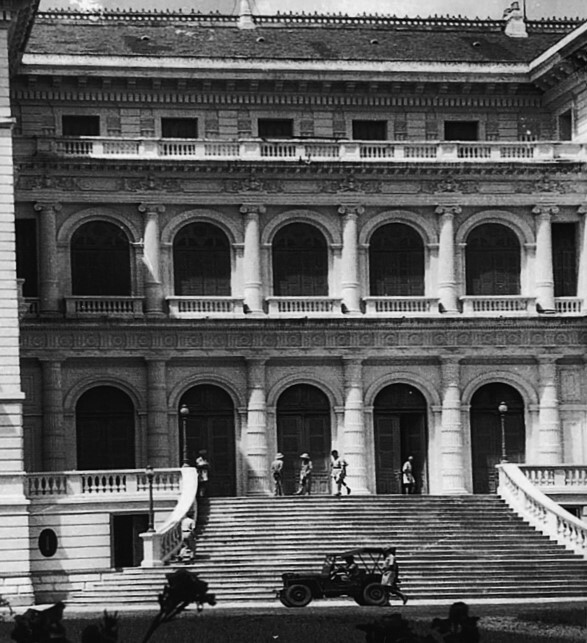 Vietnamese soldiers gain control of the French chief of state's palace, which is now the Presidential Palace at 2 Hung Vuong Street in Ba Dinh District. 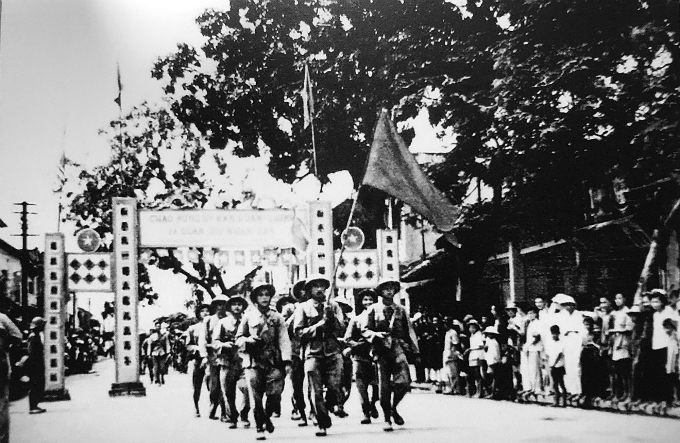 Vietnamese soldiers march on Long Bien Bridge on their way back to Hanoi downtown on October 10, 1954. 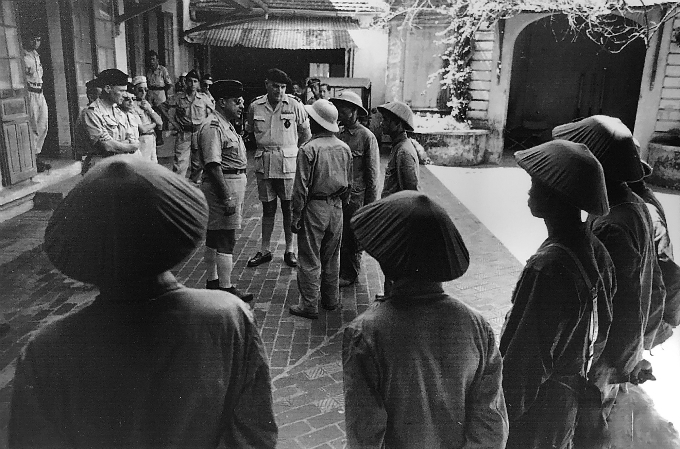 Vietnamese soldiers take over the Hoa Lo Prison in Hoan Kiem District. 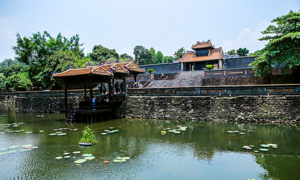 They take a post on Hang Trong Street from the French. 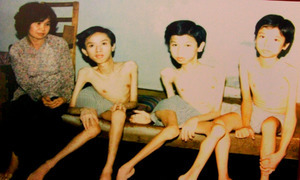 On October 10, 1954, Hanoi officially pulled together all its forces and brought them back to the city. 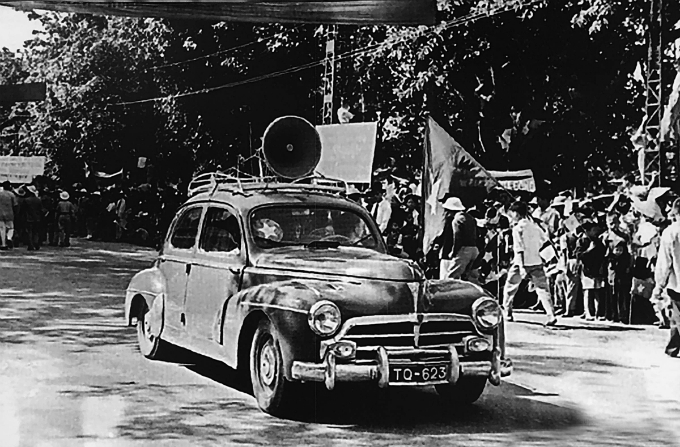 In this photo, a car is sent around the city to announce the plan to welcome back the nation's military force from the northern uplands. 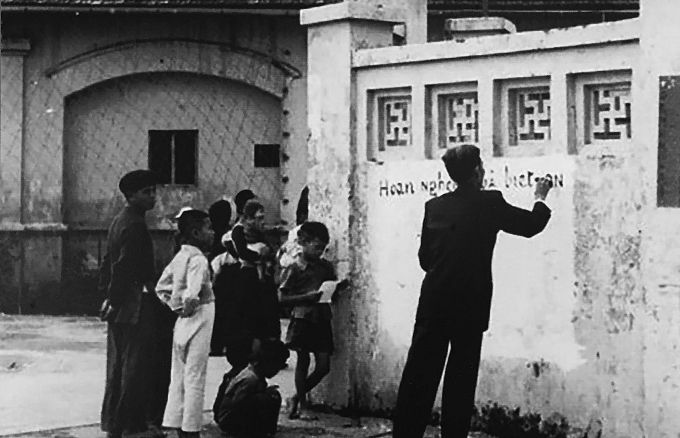 Locals in Hanoi write a welcome and thank you note to the Vietnamese People's Army on the wall of Tran Nhat Duat Elementary School in Hoan Kiem District. 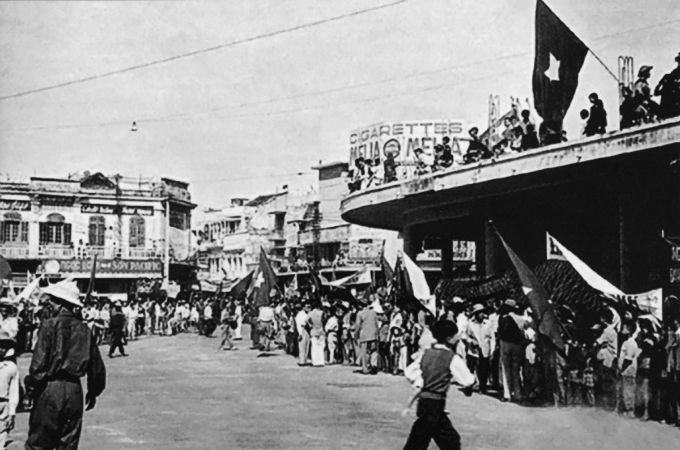 Hanoians decorate the streets for the big day. 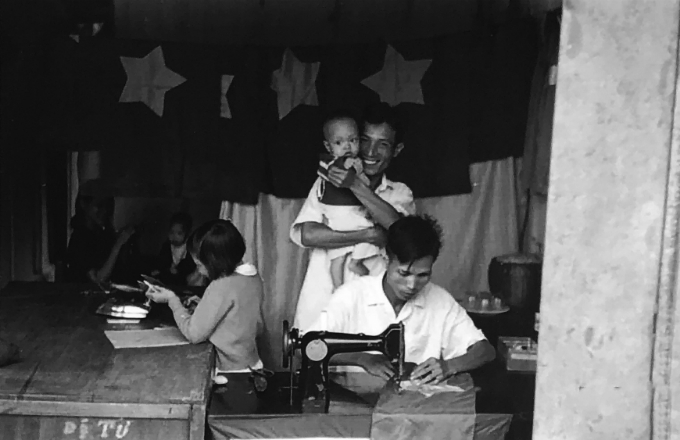 A tailor shop in Hanoi makes national flags for the celebration. 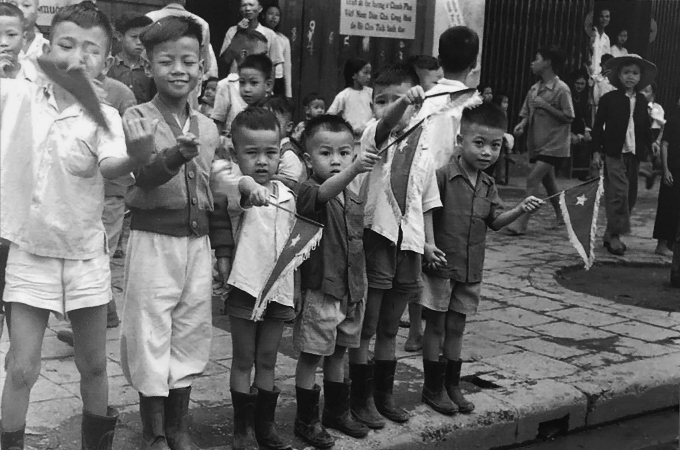 Children wave national flags to welcome the Vietnamese soldiers in Hanoi on October 10, 1954. 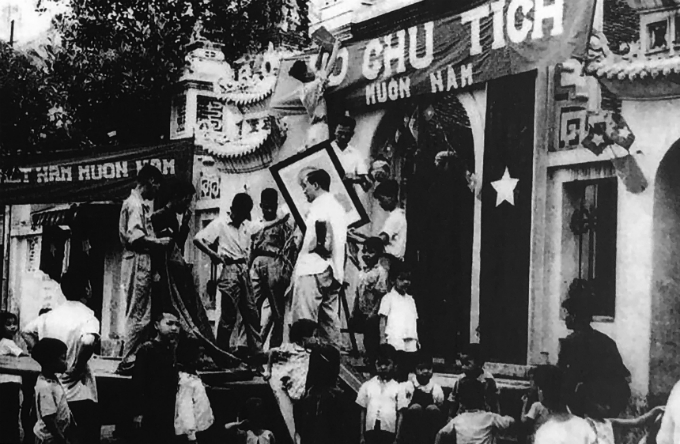 A crowd gathers at the Bo Ho Roundabout, now the Dong Kinh Nghia Thuc Square, for the celebration. 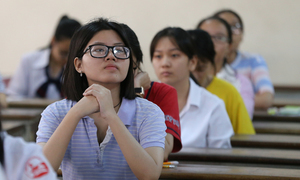 Students and teachers of Hanoi march in a parade on the main streets of Hanoi. 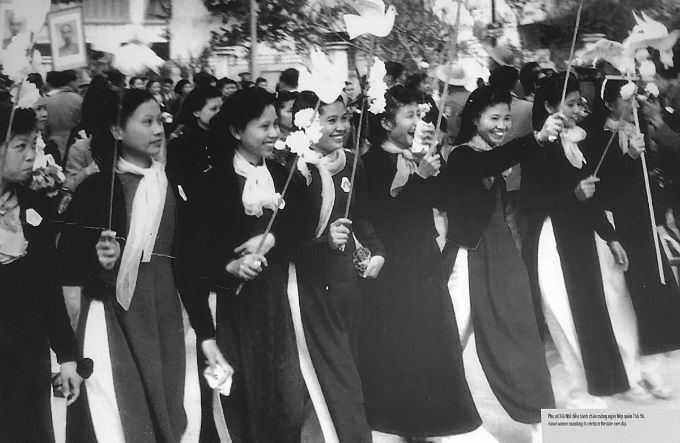 They are joined by Hanoi women wearing the traditional ao dai.